In 1879, Irish housekeeper Kate Webster killed her employer, boiled her body, and fed the fat to small children. 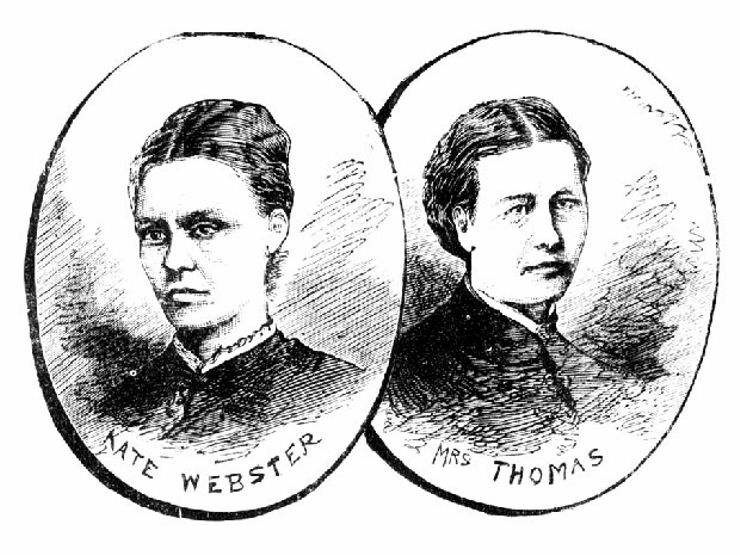 When Julia Martha Thomas hired Kate Webster as a housekeeper, she didn’t realize what a fatal decision it would be. 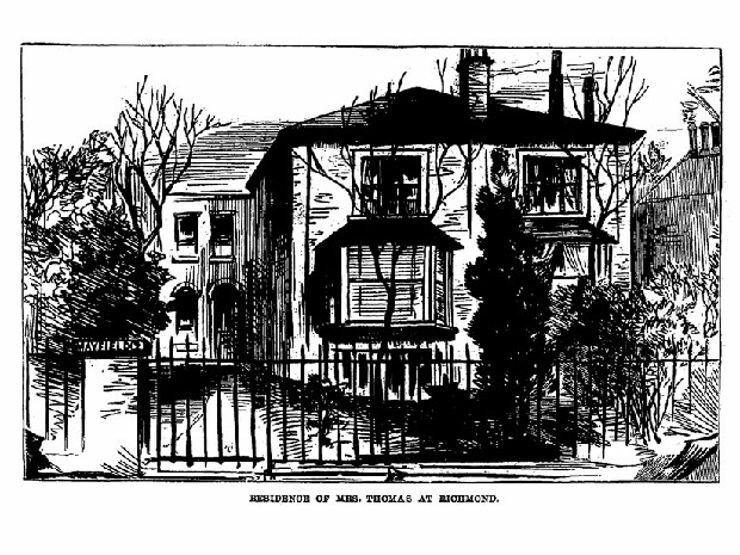 In 1879, Julia lived alone in a small cottage outside London. She was an eccentric widow, who traveled frequently and dressed well above her status as a lower middle-class lady. She had a bad temper and couldn’t keep a servant for long. So when a friend told her about an Irish woman who was looking for a job, Julia hired her without question. Unfortunately, she didn’t know about her new employee’s reputation. Want more historical true crime? Sign up for The Lineup’s newsletter, and get our most disturbing tales delivered straight to your inbox. In Ireland, Kate had made a living as a pickpocket and went to prison for the first time at 15 years old. She arrived in England a few years later, and, eventually, fell in love with another robber, Mr. Strong. After Kate got pregnant, Mr. Strong left, and she started taking jobs as a house cleaner. She would steal items from her employers and sell them off, then move on to the next home. Apart from stealing, Kate had two hobbies: drinking and fighting. Naturally, the women did not get along. After months of constant quarreling, Julia fired Kate. Kate begged to stay on for a few more days, and Julia agreed to pay her through the weekend. At church that Sunday, Julia told her friends she was scared of being alone with Kate, and she was going to end their professional relationship once she got home. The exit interview did not go well. Kate threw Julia down the stairs, and before Julia could scream for help, Kate jumped on top of her and strangled her to death. The housekeeper then grabbed a razor and a saw, dismembered the body, boiled it, and stuffed it into a wooden box; everything fit except the head and one foot. It took Kate days to clean up the mess in the small cottage. Once she was finished, she changed into one of Julia’s dresses, put the head in a black bag, and took out the morbid fashion accessory to a local pub for drinks with friends. Kate still had to dispose of the body, so she convinced a neighbor to help her carry the sealed wooden box to a bridge on the Thames. The man heard a splash shortly after he left but said he thought nothing of it. Julia’s body was discovered the next morning, but without the head, police couldn’t identify the victim. For the next few weeks, Kate continued to live as Julia, sleeping in her bed, wearing her clothes and jewelry – and selling her worldly possessions, of course. She sold it all: the furniture, the house, and the gold fillings from Julia’s teeth. She even tried to sell the fat rendered from boiling Julia’s body to a restaurant in town. When that didn’t work, she fed it to some young boys, who ate two bowls full. Finally, a neighbor put two and two together, and Kate fled to Ireland to escape the police. She was quickly caught and sent back to England, where a jury convicted her of murder in less than an hour. Before she was hung, she confessed everything to a priest … everything except where she hid the head. In 2010, beloved BBC naturalist David Attenborough was excavating his yard to build an addition on his house, and he discovered a broken skull in the ground. It didn’t have any teeth. After reviewing police records, census reports, and carbon dating, a London coroner identified it as the missing head of Julia Martha Thomas. It had been buried in almost the exact spot her little cottage had stood more than 130 years earlier.